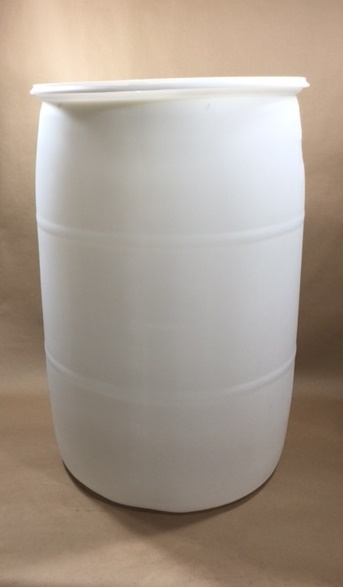 Among the plastic drums that we stock are two 55 gallon plastic tight head drums made from extrusion blow molded high molecular weight high density polyethylene (HMW-HDPE). The color choices are blue and natural. Plastic drums, when applicable, provide advantages over steel drums such as dent resistance, weather resistance and the fact that they are corrosion free. The overall height of the drums is 34.8 inches. The nominal outside diameter is 23.3 inches. The minimum wall thickness is 0.090 inches. These drums each have 2 bungs. One bung is a 2″ buttress and the other bung is a 2″ NPS (National Pipe Straight Thread). They are both UN rated for hazardous liquids – UN1H1/Y1.9/150 and UN1H1/Y1.4/150 when vented. The drums are FDA compliant and suitable for non-hazardous liquids as well as hazardous liquids. 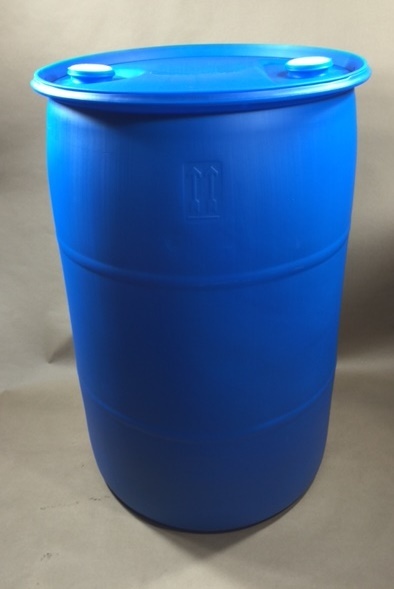 The natural drum is translucent and has liquid level markings at each 5 gallon level making it easy to view the remaining product in the drum. As always, compatibility of the product with the container is the responsibility of the shipper.